We are a dedicated team which strives to provide success to our clients in regards to all their accountancy needs. Our team is very close-knit and ensures that a unified support is provided to you whenever you need it. With expertise covering all aspects of accountancy, taxation and business advisory services, we are well placed to take a proactive view to planning for the future as well dealing with specific matters. 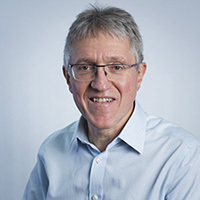 Experience/specialisms: Ian started his career in accountancy in 1976 and qualified as a Chartered Accountant in 1982 (the exams were much harder in those days). He was a co-founder of Sutton Dipple in 1992 and appointed a director of GCSD Accountants in 2016. Role: He has considerable experience in dealing with owner-managed businesses and a particular interest in cloud accounting. His clients range from technology companies to fortune tellers. Hobbies: Outside of work, Ian can be found in the kitchen making chutney. 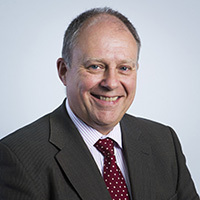 Experience/specialisms: Before qualifying as a Chartered Accountant in 1991, Tim obtained a degree in Hotel and Catering Management at Cardiff University. He was a co-founder of Sutton Dipple in 1992 and appointed a director of GCSD Accountants in 2016. He has also spent 9 years as the Honorary Treasurer of Minchinhampton Golf Club. Role: These experiences give Tim a particular expertise in acting for clients in the hospitality industry, private members clubs and the Not for Profit Sector in general. He also has considerable experience in the rental and Furnished Holiday Lettings business. Hobbies: When not working, he can often be found on the golf course or the terraces at Gloucester Rugby. Experience/specialisms: After gaining his GNVQ in Business Studies, Gavin started his career with the firm on an apprenticeship scheme. He has since progressed to become a member of three accounting bodies – The Association of Accounting Technicians, The Association of Taxation Technicians and, most recently, The Association of Chartered Certified Accountants. In October 2015, he became a director of the business. 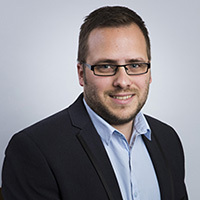 Role: Gavin undertakes all the usual accounts and taxation work you would expect of a qualified accountant but especially enjoys dealing with new start-up businesses. He grew up in the Stroud Valleys, the thought of helping the local economy is something that motivates him and gives him a great deal of satisfaction. Hobbies: When he drags himself away from the office, he is often seen on the terraces supporting the local football club, Forest Green Rovers FC. He also enjoys rock climbing and socialising with friends. 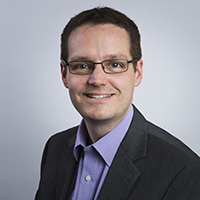 Experience/specialisms: After obtaining a degree at the University of Southampton, Julian began his training as a Chartered Accountant and qualified in 1998. He has been a director of the practice since August 2009. He has a broad range of experience over all areas of practice but most enjoys challenges where he can put his problem solving skills in to play. This often entails tax planning and tax investigations where he is one of a few local accountants to have dealt with a ‘Civil Investigation of Fraud’ case. Qualifications: In 2015 Julian gained the ICAEW Probate Qualification allowing the firm to deal with non-contentious probate. He was one of the first accountants in Gloucestershire to gain this qualification. Experience/specialisms: Cara has been a staff member since 1997. Originally she was employed as a qualified AAT to undertake a variety of accountancy, bookkeeping and taxation tasks. 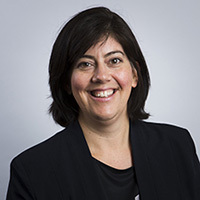 During her time at the firm Cara has become a member of the Association of Chartered Certified Accountants and has since been accepted as a Fellow member. Role: Cara’s role within the firm has developed and she manages a range of clients on behalf of the firm. Hobbies: In her spare time she enjoys playing skittles, running with a local athletics club and horse care. 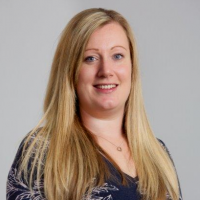 Experience/specialisms: Prior to joining the firm in 2012, she has worked for Rathbones in London in the trust department where she was involved in all aspects of trust and estate administration and associated tax advice and accounting. Role: Magda specialises in trust and estate taxation and accountancy. Advising charities is a particular passion but her other expertise includes personal taxation, estate administration and inheritance tax. Magda has been a full member of the Society of Trust and Estate Practitioners (STEP) since 2004 and is currently serving on the committee of the Society’s Gloucestershire & Wiltshire branch as its Secretary. She is a full member of the Association of Accounting Technicians (AAT). She has an honours degree in Business Administration and Finance from The University of West London and is currently in the process of attaining her full Chartered Accountancy qualification. Magda is bilingual and has been advising Polish businesses and individuals in Gloucestershire. Experience/specialisms: Mark joined the firm in 2005 where he acquired all his professional accountancy qualifications. He is a member of the Association of Accounting Technicians and has been a full member of the Association of Chartered Certified Accountants since 2015. He has many years experience dealing with small to medium size business and his client portfolio includes companies from various industries from building and construction to restaurants and software developers. Role: Mark also specialises in advising and implementing online accounting software for clients including FreeAgent and Kashflow amongst others. Hobbies: In his spare time, he enjoys bird watching and collecting unique ties. 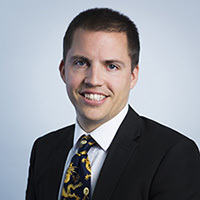 Experience/specialisms: After qualifying with a First Class Honours degree from Cardiff University in Accounting & Economics at Cardiff Business School he later joined the business and qualified as a Chartered Accountant in 2006. Role: Matthew is involved with meeting the individual accountancy needs of a range of clients from sole traders and partnerships to small and medium sized companies. He works on all aspects of accounts, taxation and audit and believes that he can work with clients to be more proactive and assist with their ever growing and changing accountancy needs. 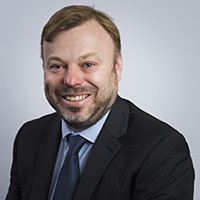 Qualifications: In 2015 he was one of the first Chartered Accountants to obtain the ICAEW Probate Qualification in Gloucestershire, enabling him to undertake non-contentious probate assignments – an area of reserved legal activity. 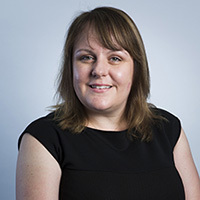 Experience/specialisms: Sharon joined the firm in 1997 as a trainee, obtaining her AAT qualification in 2003, in 2010 her ACCA full membership and in 2015 became an ACCA Fellow. Role: The longevity of her employment has allowed her to be involved with a variety of businesses, an assortment of accounting software packages and the spectrum of accounting and taxation activities. Her friendly yet focused approach to accountancy and the knowledge drawn from her experience makes her popular with clients. Sharon is also the firm’s QuickBooks specialist. Hobbies: In her spare time, Sharon enjoys baking, socialising with friends and travelling in her campervan. 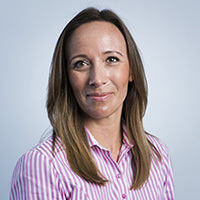 Experience: Having provided client payroll services for over ten years, Sarah has gained experience in a wide variety of sectors including Legal, Vets, Care and Dental. Responsible for paying an array of payments from Sleep-ins to Puppy Parties, as well as advising employers on payroll compliance. Sarah holds an Advanced Professional Diploma in Payroll Management. Role: Sarah manages the payroll bureau on behalf of the firm, dealing will all things payroll related. Hobbies: Outside of work Sarah can be found running around after her two young children.